Borg or salisbury - how do I tell? 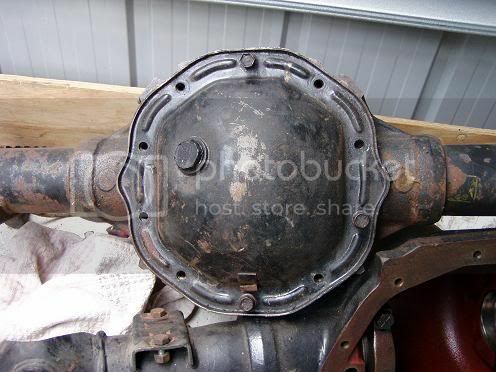 Discussion in 'VB - VK Holden Commodore (1978 - 1985)' started by traindriver, Jul 22, 2006. Talking about diffs in another thread. How do you tell the difference between a Borg Warner diff and a Salisbury diff?? I am thinking about rebuilding one for my VK. Right going on your details in the top right its an 85 VK. So it should have a Borg Warner diff. This pic here is a 6 cylinder 8 bolt Salisbury. The difference is the cover plate, the Sals is more rounded edges, the B/W is more hexagon shape. Also the B/W diffs are a lot stronger, better for parts. The Sals diff parts are very hard to come by these days.